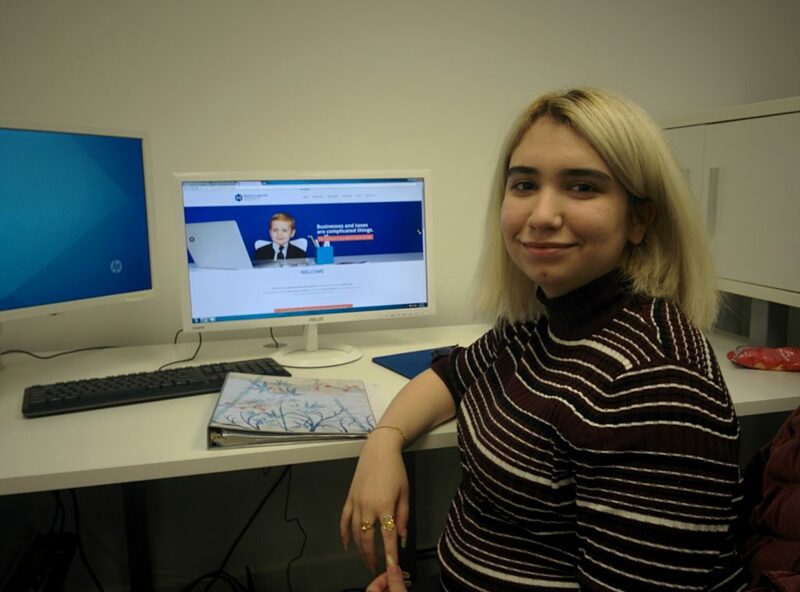 Rand is a grade 12 student who is doing a four credit co-op at Hawkins & Co. Accounting- Professional Corp. We met Rand before she started her placement and were excited to have the opportunity to touch base with her partway through her placement to see how things have been going. You can read her pre-placement blog here. Read below to learn about how her placement has been going! Can you describe for me what a typical day looks like for you while you are on co-op? “I would come in, check email to see if anyone has sent me anything to work with. I would then update worksheets that we would give to clients in case we are running low. I would then ask my co-workers or our receptionist to see if they have anything for me to work on. Every day I have something different to work on. Are you enjoying that there are different things to work on each day? I like having something different- it keeps things more interesting. What is your favourite part of being in a co-op placement here so far is? I absolutely love the new routine of coming to work. With school it is very schedule based. Here it is a lot more versatile. It doesn’t matter what time it is- you can switch what you’re doing at any time. It is not as restrictive as school is. Tell me about the unique work environment at Hawkins & Co? We have two dogs- Penelope and Tallie. They are very adorable. They walk around and get love. We do yoga once a week on Wednesdays. Here they use more updated accounting software. All of it is done online so it is like a virtual office, you can work from anywhere. Have there been any parts of your experience here that have been unexpected? The stereotypical accounting office is older people with a list of accounting degrees, using pen and paper with large calculators on their desk. Here it is more modern and relaxed compared to the stereotypical version. I thought this was very cool. Do you feel like you’ve gotten to know more about Walkerville with having your office here? I’m discovering so many new things in this. I’m getting to know the restaurants and interesting places around here. Trying new things! I’ve never thought of just coming here, but now that I’m here every day I might as well? What is a favourite restaurant that you’ve discovered? What types of skills are you using on the job that you had before coming here? Definitely organization. That’s one thing that school has gotten out of me- it has made me very organized with all of my time and how I manage the stress levels or the organization of my desk, how I write my notes etc. Organization has really helped me here. What types of skills have you had to develop on the job? A lot of detail- attention to detail. Everything is about the little details. If you miss one thing something could go wrong, especially with taxes- you don’t want your client to be audited for a mistake that you made. The little things you need to pick up on. Do you feel like your experience here has confirmed that this is a career path you’re interested in? Definitely. I change my mind a lot. When I chose I was going to do accounting I had a bit of doubt but thought that this might be the best thing for me. When I started working here I thought, yeah- I made the right choice. Getting to experience all of the backstage of the job you don’t see it from the outside, but when you work inside it you see all of the things that go into one file- everyone that has to put in all the work. It’s so cool. 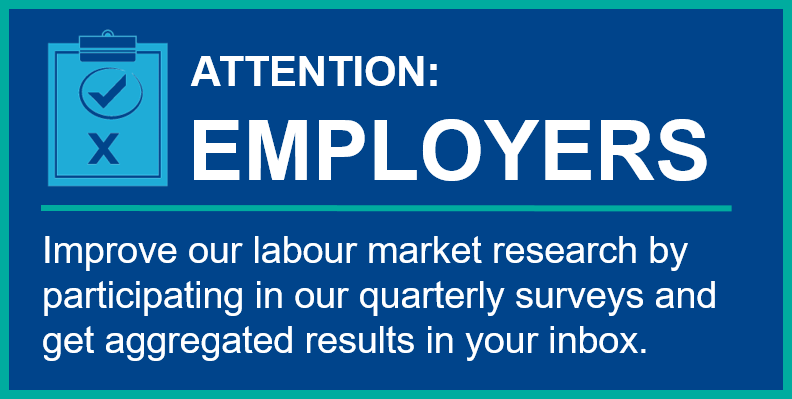 Have you been able to speak with co-workers about education or training that you might need if you were to pursue a career in this path? Yes- one of my coworkers was doing co-op last year here, and another co-worker who is in college and did co-op here last semester. One took the same program I’m looking to take, so he’s been able to tell me about what to expect, what teachers I’ll have etc. Rand is taking a full day co-op which is unique, as many students take a half day co-op. We asked her how she feels this type of learning differs coming to work all day every day as opposed to when you go to school. I have a lot more freedom here. In school all we learn is very important because we need to be educated, but here I’m learning new skills but I’m also helping society directly. At school, we do important things, but here- in the beginning I was doing little things like scanning or transcribing notes onto google docs but those little things everyone else is too busy to do them. Having me here to do them makes me more useful than at school where I do everything for myself. What led you to take the 4 credit co-op? I feel like I found a cheat in the system to get out of high school early. If I take this 4 credit co-op I will get all of my credits and leave high school early. Do you feel like this has better prepared you for any future career that you might have? Totally. I have worked in retail before, but it didn’t do much because it is little skill and simple training. I want to go into accounting so this has given me a lot of experience so if I were to apply to a job I could say I have this experience with working at an accounting firm. It might give me a boost in life. Do you have any words of wisdom for students in grade 10 or 11 who are thinking of doing co-op but are on the fence about it? Get all of your required credits and then take co-op. Don’t just go in without the credits that you need- especially in grade 12. You can only take the 4 credit option in grade 12. It’s so worth it. At first I had doubts about co-op- should I really do a 4 credit co-op? Whether I graduate or not depends on these 4 credits. It was kind of scary because I didn’t know how I was going to be graded. It’s good to know that it’s not an impossible task you can never figure out. 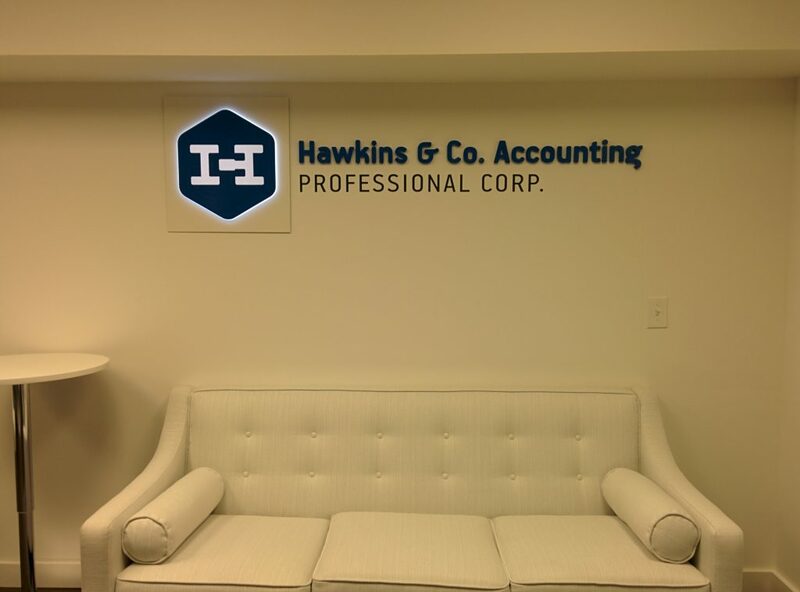 A special thank you to Hawkins & Co. Accounting- Professional Corp. for letting us interview Rand during her placement! We look forward to following up with Rand one final time once her placement is complete.